The Importance of Seats Belts | Hull & Zimmerman, P.C. It has taken more than 50 years, but automakers and the Department of Transportation have succeeded in persuading 88.5% of American auto drivers to fasten their seat belts. While this statistic is certainly encouraging, it also reminds us that there are many drivers who do not buckle up! In fact, 25 million Americans routinely ignore safety reminders to wear their seat belts. This translates into numerous car accident injuries – and even fatalities every year. In addition to the personal tragedy of losing a loved one, the importance of seat belts becomes clearer when you consider their effect on society at large. The additional risk from unbelted drivers actually increases car insurance rates and healthcare costs for all Americans. It also causes automakers to redesign their cars, causing inflated car prices and often other unsafe features. Buckling up takes approximately 3 seconds. That is all. Those 3 seconds could literally save your life. Records indicated that in the last 50 years, seat belts have saved more than 329,715 lives and are the #1 lifesaving safety feature ever added to cars. NHTSA data shows that teenagers were also more likely to be involved in fatal car accidents when not wearing their seat belts. In fact, half of all teens who died in crashes were not wearing their seat belt at the time of the collision. Need even more convincing? Rear-seat passengers were 3x more likely to be involved in a fatal car accident when they were not wearing their seat belts, AND unbelted rear end passengers often hurl into front seat drivers during an accident, increasing THEIR risk for being killed. In fact, a driver that is wearing a seat belt is 2x more likely to be killed when an unbelted back seat passenger hurls forward into them. Seat belts were first introduced as standard equipment in 1968. In the 1980’s some states began to see the importance of wearing seat belts, so they began to enact mandatory seat belt laws. In 1989, cars were required to offer three-point lap/shoulder belts in outboard rear seats. Numerous safety campaigns were enacted to push consumer use and in 1994, the overall seat belt use rate reached 58%. Why do People Avoid Wearing Seat Belts? When Consumer Reports ran a survey, they discovered that a large portion of Americans did not wear seatbelts due to discomfort. In particular, women with large breasts and shorter drivers complained about seat belt pain. Some Americans also refuse to wear their seat belts because of a rebellious streak. They didn’t grow up wearing one – and they’re not going to start now. Others, say they wear seat belts on long car trips, but not for routine driving around town. According to the CDC, men are less likely to wear their seat belts compared to women and drivers in rural areas are less likely to wear their seat belts. If you are not wearing your seat belt and you are injured, you are more likely to sustain a more serious injury. This means that the medical costs will be higher, the recovery time longer, the missed time from work more extended, and the pain and suffering will be worse. According to the NHTSA, the cost of an accident in which a passenger is critically injured is a whopping $3.3 million. This includes medical bills for the injured parties, lost wages, pain and suffering, and property damage. In addition to the personal consequences that can occur when you are involved in an accident, motor vehicle crashes cost our society $242 billion each year. If you add into account pain and suffering, that number is a staggering $836 billion. When seat belts save lives, they have a direct effect on the societal costs of car accidents. In fact, it is estimated that they save roughly $50 billion in medical costs and lost productivity. Of course, all of society absorbs these costs in some form or another – including higher insurance premiums, taxes, travel delays, and traffic. If you or someone you love has been injured in a car accident in Broomfield, Northglenn, Westminster, Thornton, or anywhere in Colorado, it is important to contact our experienced personal injury attorneys immediately. 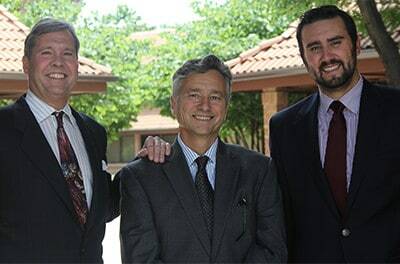 At Hull & Zimmerman, P.C., our committed Broomfield personal injury lawyers are dedicated to the belief that everyone deserves justice. Contact us at (303) 423-1770 or (866) 385-3505.